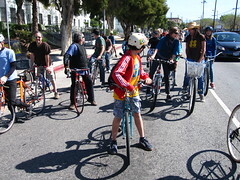 Don’t forget that tomorrow is the 2012 Utah Bike Summit: Bike Elevated on May 4 – 9 a.m. to 4 p.m. at Union Station (2501 Wall Avenue) in Ogden, UT (short walk from Frontrunner). The summit promises to be an inspiring and informative day bringing Utah’s bicycling community together to improve cycling across the state. Register now! Registration hour with Continental Breakfast is 8-9am, registration includes UTA Frontrunner to and from Ogden, continental breakfast, lunch and snacks, there will be bike valet service at the Summit, compliments of Ogden’s Bike Collective. Registration for the summit is only $20 for Bike Utah members, $35 for general attendance and $15 for students, government employees please email me for discount code. All registration prices include, free round-trip Frontrunner UTA transportation to Ogden from SLC, breakfast, lunch and snacks and a discount for the Ghost Town Century on May 5. This entry was posted in Local Biking Events, Utah State Cycling Issues by Jamie. Bookmark the permalink.